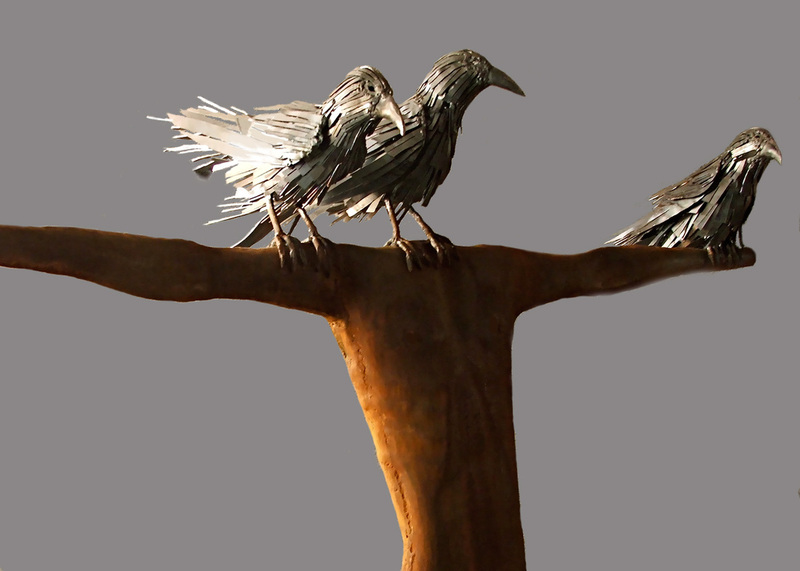 Mark Kindschi's human and animal forms of forged and hammered steel portray "the interface between nature and the human species." 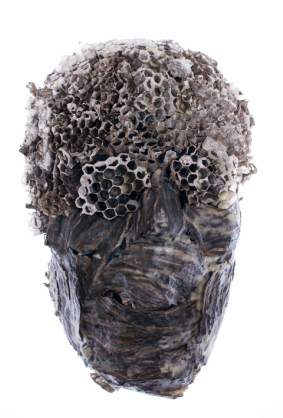 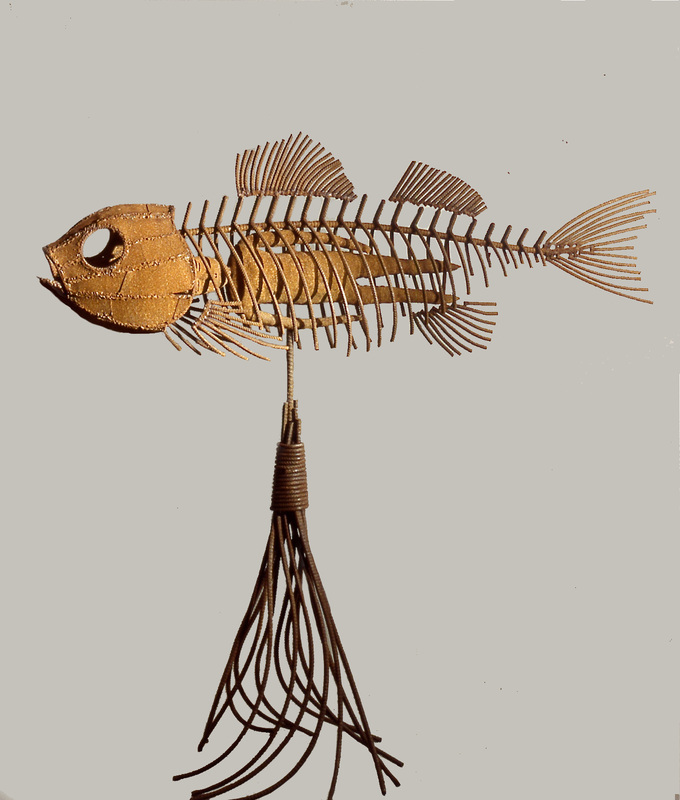 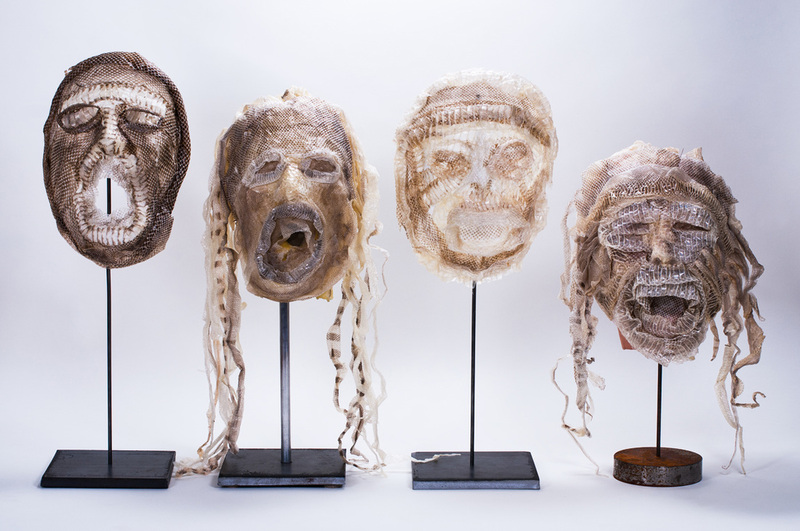 Mariano Chavez, Chicago based artist, uses wasp nests, beeswax, shed snakeskin and other organic and non-organic materials to create masks and figures that powerfully resonate in their originality. 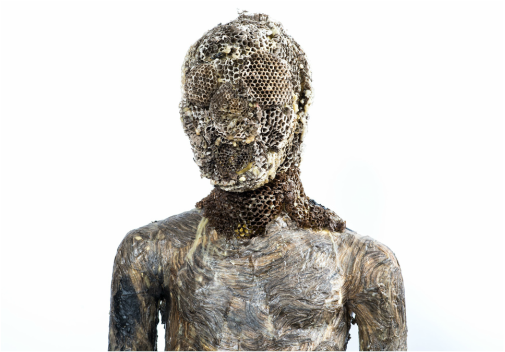 Mark KIndschi, "Scarecrow" (detail), forged and hammered steel, 78" x 62"
Mariano Chavez, "Wasp Paper Mask"